This is where Swish was brought in. Swish, a distributor of cleaning solutions and equipment in Canada, was asked to assess the current cleaning processes, products and procedures in the hospital and provide solutions to help improve cleaning results. The ultimate goals: help reduce the number of C.diff infections, as well as help lower the incidences of nosocomial illnesses. The first step the Swish experts took was an initial assessment of the current cleaning processes. They found that a one-step cleaning and disinfecting procedure was in place. This, it was concluded, was a key contributor in the C.diff/nosocomial infection spike. Further, tests were conducted using an adenosine triphosphate (ATP) monitoring system. These examinations indicated a lack of efficacy in the current cleaning processes. For instance, the ATP tests revealed counts of between 300 and 1,000 ATP units on high-touch hospital surfaces such as wheelchairs, bed tables, bed rails, mattresses and toilets. These numbers were dangerously high and likely a major reason for the C.diff and nosocomial infections the hospital was experiencing. 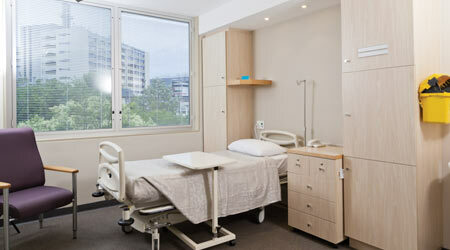 Upon completion of the initial cleaning process assessment, the Swish cleaning experts recommended the hospital switch to a two-step cleaning and disinfecting process using two specific products: PCS ECOgent Stabilized Bleach Cleaner and PCS 5000 Oxidizing Disinfectant from Process Cleaning Solutions, Canada. • With these products and processes in place, other forms of bacteria and germs that might be causing the increase in nosocomial illnesses would also be killed and their threat eliminated. To further ensure the effectiveness of the products and program, an extensive, hands-on training and communication program was provided by Swish for the housekeeping personnel. • The nosocomial infection rate was also reduced, bringing the rate closer to baseline infection rates.